If you listened to The Droid Life Show from last week, then you’ll know that we have two weeks of contests ahead of us that are filled with tablets, tablets, and more tablets. For this week, Google is the host, having offered up five (5) Nexus 7 32GB HSPA+ tablets and $25 Google Play gift cards to go with them. Together, they make for one hell of a holiday pairing. You get our favorite tablet (Nexus 7 review), plus $25 to spend on content for it. How can you beat that? So each day this week, we’ll be handing out a Nexus 7 and a Google Play gift card to one amazing reader. The contests, as usual, will be simple so that everyone can join. But before we jump into this, we’d like to thank Google for putting up these great prizes. They told us that with Android having such an amazing year, they simply wanted to thank sites like Droid Life by giving away a bunch of goodies to readers. Thanks, Google. We received a ton of great entries, but of course the winner was selected at random. We will create a special honorable mentions post tomorrow so we can share our favorites. If you didn’t win, don’t worry! We have four more days of tablet giveaways. 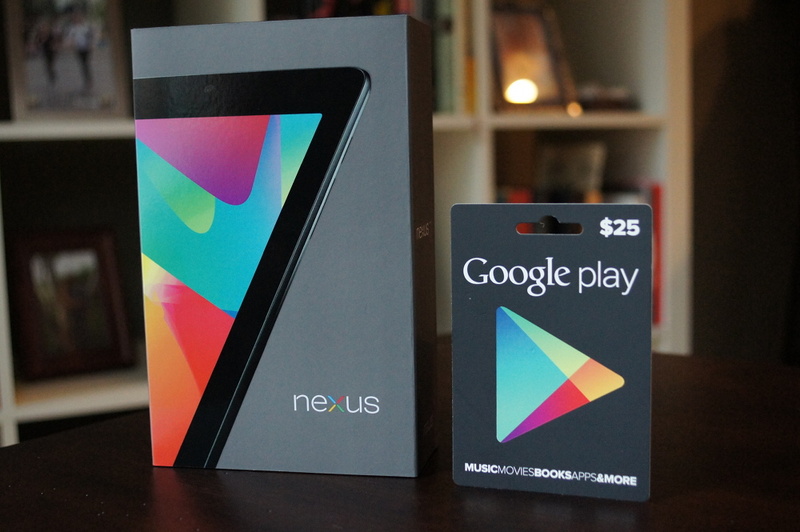 Prize: 1 (one) Nexus 7 32GB HSPA+ tablet and 1 (one) $25 Google Play gift card. 1. In the comments, give us your best Android haiku. 2. If you need to learn more about haiku, hit up Wikipedia. Today, at 4PM Pacific, we will choose the winner from the comments.